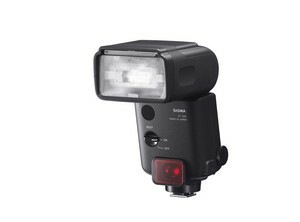 KANAGAWA, JAPAN--(Marketwired - Feb 23, 2016) - Sigma Corporation of America, a leading DSLR lens, camera, flash and accessories manufacturer, has just announced the Sigma Electronic Flash EF-630, a multifunctional flash designed to work with current digital SLR cameras. Offering greater output of light, the EF-630 features TTL exposure control, high-speed sync, wireless flash functions, auto-zoom and bounce-flash, amongst additional features that make it ideal for many types of photography. "Lighting is one of the most important factors when it comes to creating a beautiful image, and can be the difference between capturing the perfect moment and missing it entirely," comments Mark Amir-Hamzeh, president of Sigma Corporation of America. "The EF-630 has all the features advanced photographers look for in a flash and is the perfect companion to the DSLR." The Sigma EF-630 flash automatically adjusts for focal lengths of 24mm to 200mm focal length, making it ideal for wide angle and super-zoomed shots alike. For ultra-wide angle shots, photographers can utilize the built-in Wide Panel to cover an angle of up to that of a 17mm lens. Compatible with most well-known digital SLR cameras, the EF-630 features auto TTL exposure control, as well as remote control operation through the TTL wireless flash function, where the camera lens calculates the correct exposure automatically for perfect lighting. For multi-flash setups, photographers can use the Slave Flash Function to trigger additional flashes. To achieve a softer look, photographers can bounce light off of a white wall, ceiling or reflector by tilting the EF-630's flash head upwards by as much as 90°, or swiveling left or right by 180°. For close-up shots, the flash head can also be titled down by 7°. The FP Flash function of the EF-630 makes flash photography possible at shutter speeds greater than the normal sync speed, which is typically limited at shutter speeds up to 1/250 second for most cameras. The FP Flash function for high shutter speeds is necessary when setting a larger aperture to limit depth of field when shooting in daylight, as high shutter speeds are used to balance the daylight and the flashlight at any shutter speed. To capture natural motions, the Rear-curtain Sync mode allows the flash to be triggered immediately before the rear-curtain of the shutter closes, recording blurred trails behind a moving subject rather than in front. The new EF-630 Flash can be updated with the latest software from a workstation or laptop using the Sigma Optimization Pro software and Flash USB Dock (sold separately). Since 1961, Sigma has worked toward a single, simple goal: To imagine and develop photographic technologies that push the envelope, empower photographers and produce unparalleled imagery. We've honored this commitment by maintaining control of our design, research and development, and manufacturing processes in our own Aizu Factory. Our products are built with premium materials and are known worldwide for quality and performance. Our family-owned organization is the largest, independent SLR lens manufacturer in the world, producing more than 45 lenses that are compatible with most manufacturers, including Sigma, Canon, Sony, Nikon, Olympus, Panasonic and Pentax. Sigma Corporation also produces digital SLR cameras and high-definition digital compact cameras. The company is headquartered in Japan, with offices strategically located throughout Europe, Asia and North America. Photography is all we do, and it's all we've ever done.